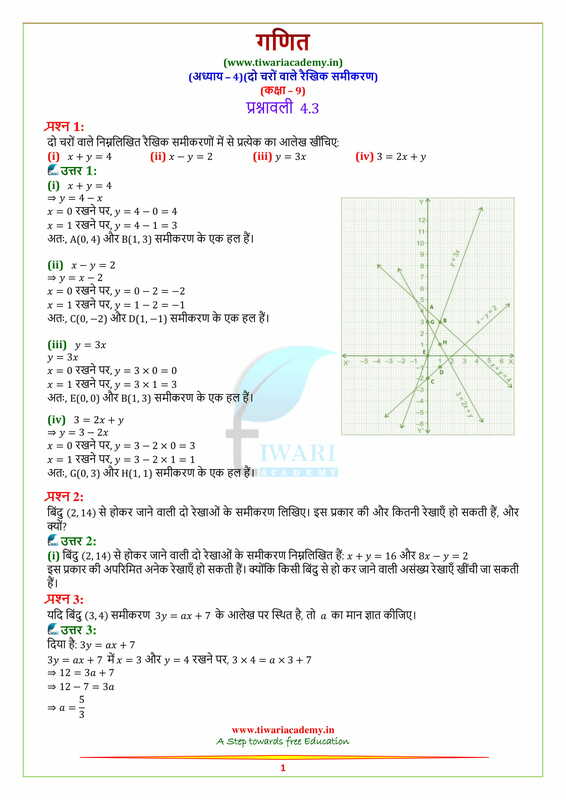 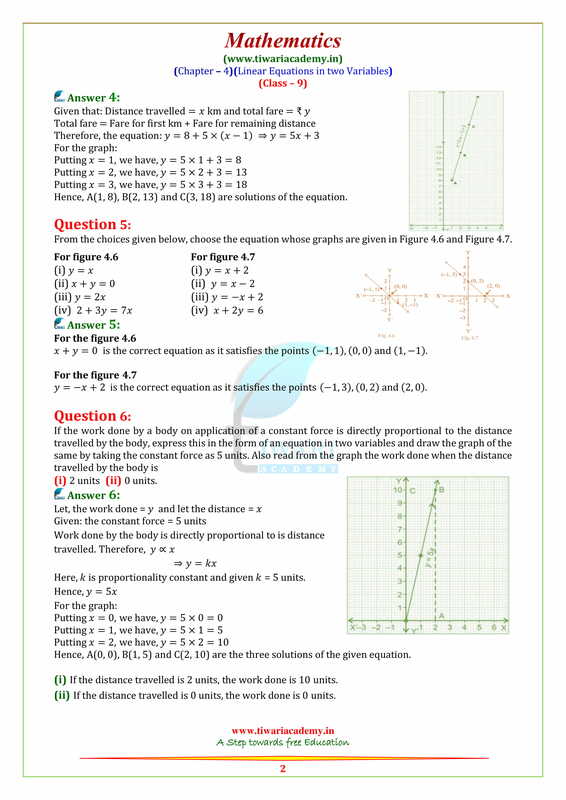 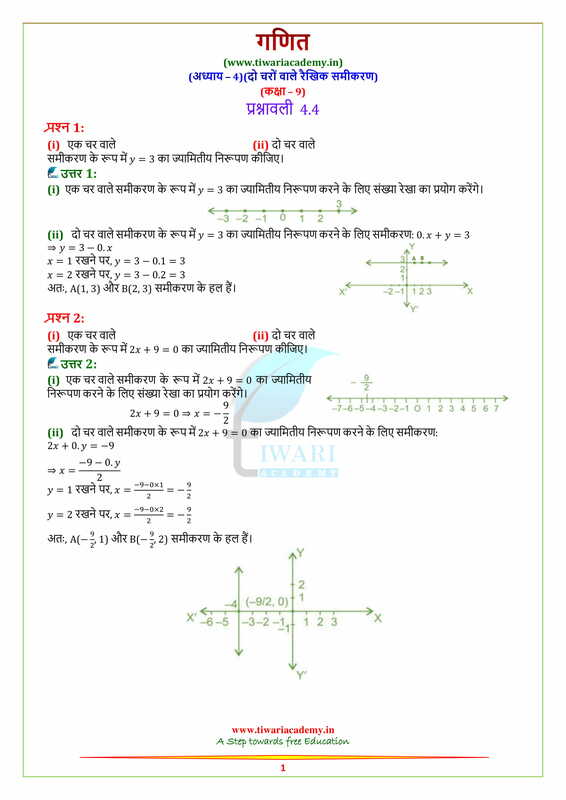 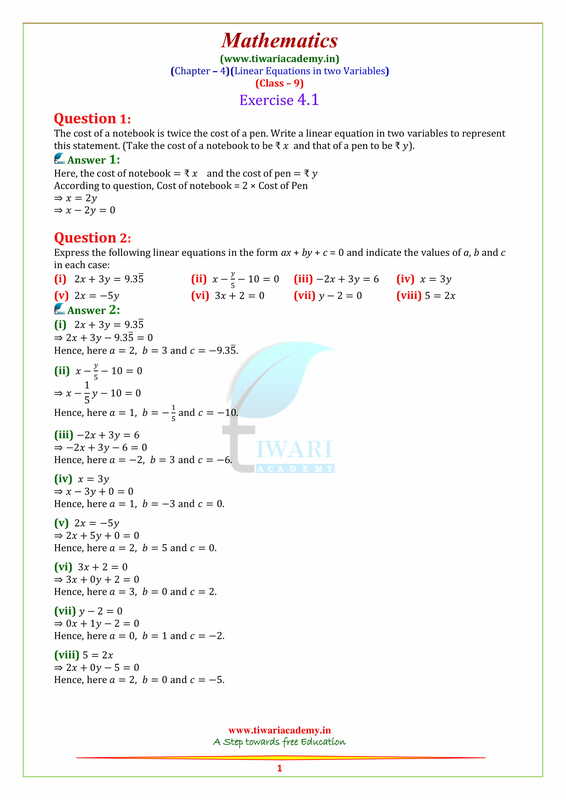 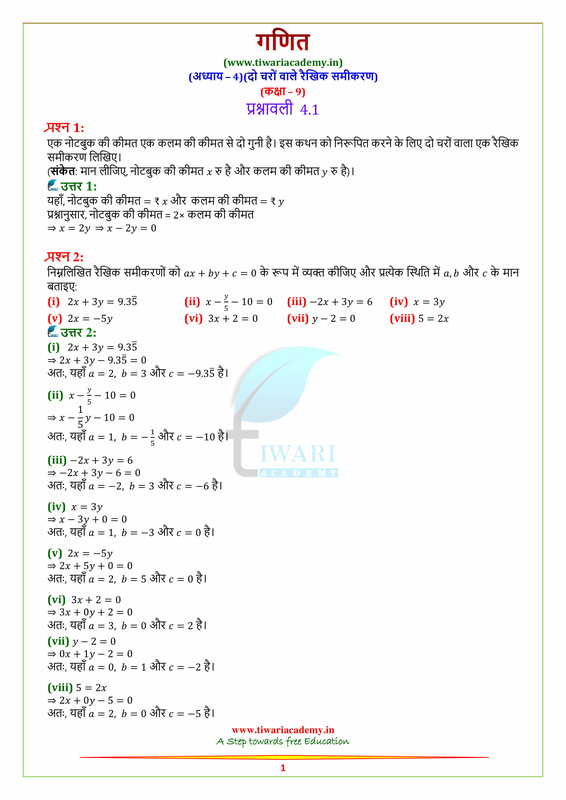 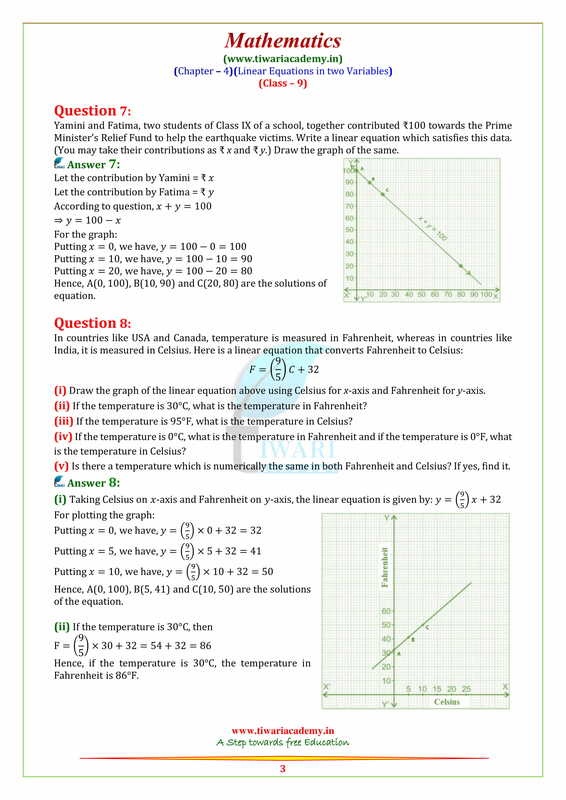 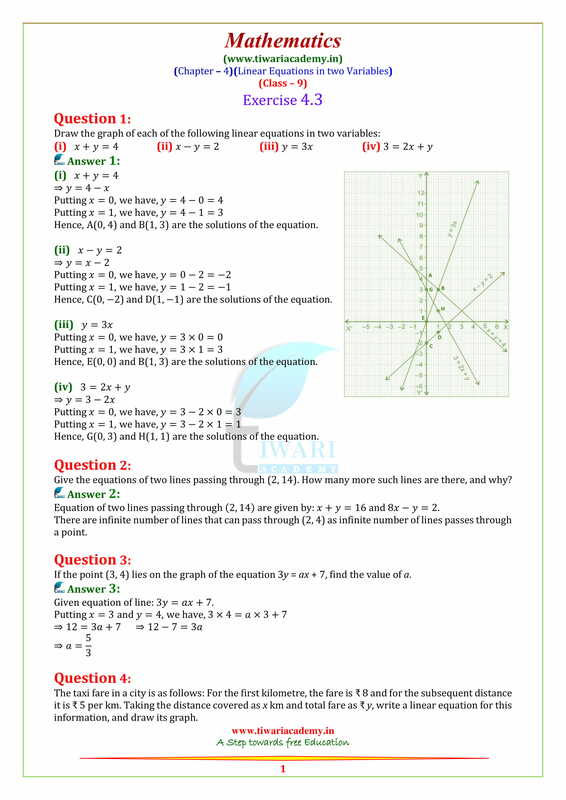 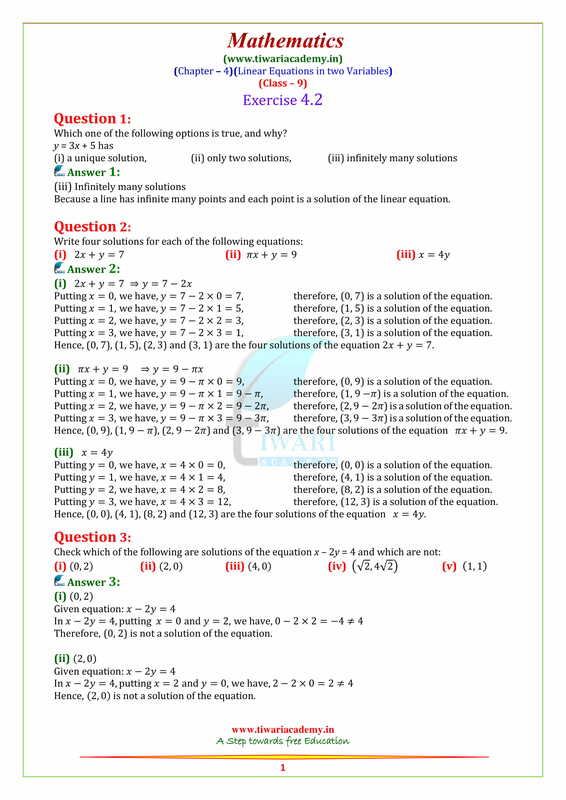 Free download NCERT Solutions for Class 9 Maths Chapter 4 Exercise 4.1, 4.2, 4.3 and 4.4 of Linear Equations in two variables in English Medium and Hindi Medium free to use . 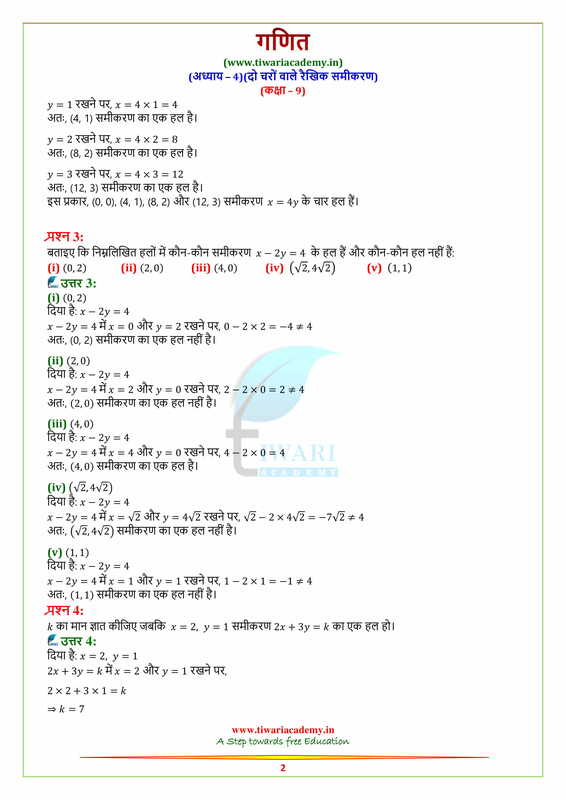 Class 9 Maths NCERT Solutions for all chapter are given to download. 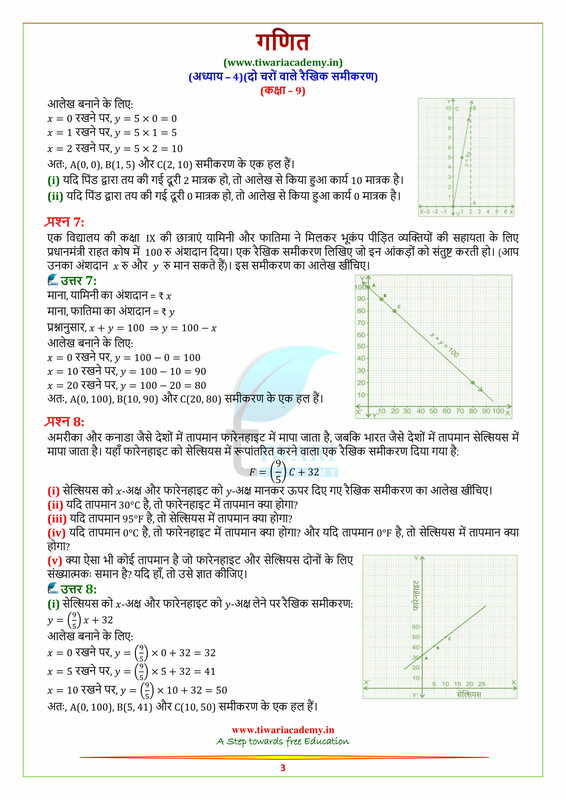 These solutions are prepared as per latest CBSE Curriculum for 2018-19 Exams. 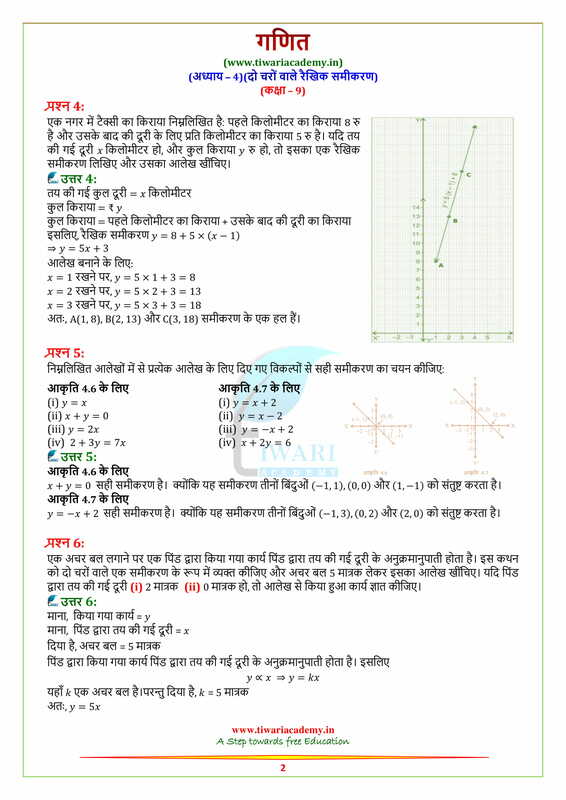 Draw the graph of equation x + y = 5. 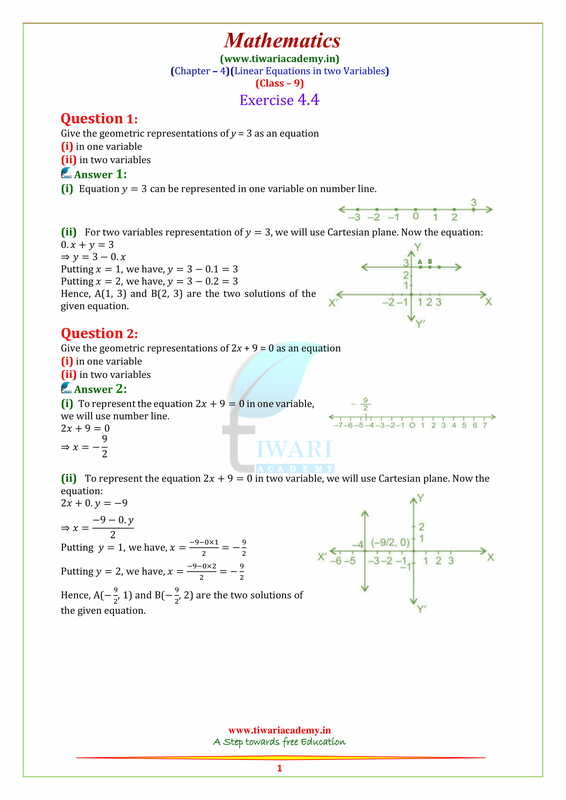 Give the geometrical representation of 5x + 7 = 0 as equation: (i) in one variable (ii) in two variables.